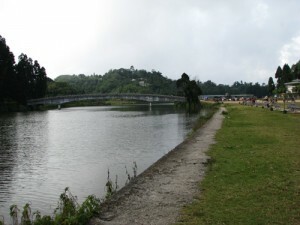 Places to see in Mirik: Perhaps, the biggest attraction of Mirik is the Mirik Lake, which is a great place to take a horse ride around it. Beside, there is the coffee and tea plantation that makes it a good spot, especially for nature lovers. Religious people will have a pretty good time visiting some places of religious importance like Shri Mangal Dham, a temple that was built in 1933. Devi Sthan or the Singha Devi Temple located on the western bank of the Sumendu Lake is another place of religious importance. Rai Dhap, another beautiful spot overlooking Mirik is apt for picnics. This place is the main source for water for the people of Mirik. 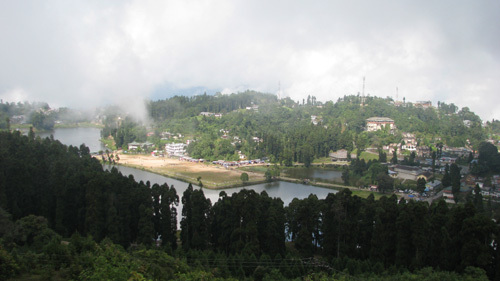 There are a few viewpoints located all around Mirik, which offers panoramic views of Mt. Kanchenjungha too. Nearby attractions of Mirik: There are many sightseeing opportunities around Mirik. The Ramitay Dara is one such destination located few kilometers from the town. It is a viewpoint offering views of the mountains and the plain below. You can also visit the Sunrise Point that offer breathtaking sights of the sun rising in the east, miles of tea gardens, orange orchards, the Bokar Monastery located on the way to Rameetay Dara, Jayanti Nagar, Pashupati Nagar, the Mirik Church and the Swiss Cottage are some of the places of attractions located very close to the town. Nearby tourist towns like Kurseong and Darjeeling attracts tourists from all over the world. On the way to Darjeeling from Mirik, you can also check out lesser-known destinations like Jorepokhri, Sukhiapokhri and Lepchajagat. Things to do in Mirik: Mirik is famous for all kinds of activities like boating, horse riding and nature trailing along the lakeside. You can also visit coffee and tea gardens, orange orchards and cardamom plantation. For trekking, you can definitely visit Phalut, which makes a favorable surrounding for trekkers. How to reach Mirik: Regular buses and taxis connect Mirik to Darjeeling, Kurseong, New Jalpaiguri and Siliguri. If you are traveling by air, you have to reach Bagdogra Airport, situated very close to Siliguri. From the airport, you can board a taxi or a bus to reach Mirik. By rail also, you need to get down at New Jalpaiguri station from where, taxis and buses leave for Mirik. 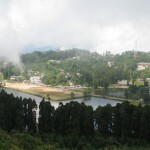 By road, Mirik is well connected to Kurseong, Darjeeling and Siliguri. It takes around 1.5 hrs to reach Mirik from Siliguri. Best time to visit Mirik: Summer is the ideal time to visit hill stations. This is one of the best ways to escape from the heat of the plain land. Temperature, during this time is pretty mild when compared with the harsher climatic condition of the rest of the sub-continent. You can also visit this place during the beginning of the winter season. The later half of the season can become too cold and you might have to travel with heavy luggage. Lodging and dining facilities in Mirik: Mirik is a very popular tourist destination and offers a wide variety of lodges and hotels other than forest rest houses and private guesthouses. 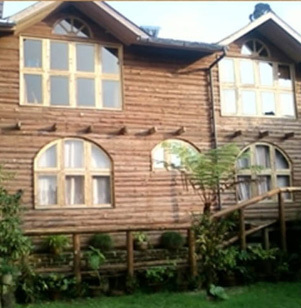 In Mirik you would find chic luxury hotels with all modern facilities as well as traditional hotels and wood cottages. There are quite a good number of eateries available in Mirik which offer distinct authentic food like Bengali, South Indian, vegetarian food, soft drinks and various other food items. One side of the Mirik Lake is surrounded by local restaurants serving delicious Momos and local Nepalese dishes which you should give a try. Bawali - Great family weekend spot near to Kolkata.